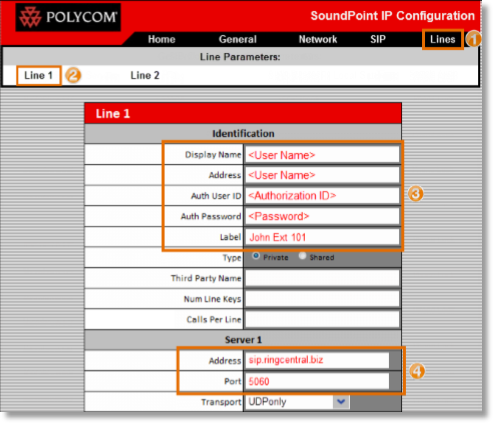 This article describes the steps to manually provision your third party Polycom IP Phone. Please check Office@Hand: Desktop and Conference IP phones to know if your device can be set up with Assisted Provisioning. 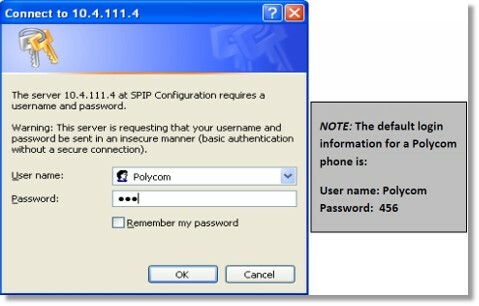 If the model of your Polycom phone is not on the list, then you may provision it manually. Add an Existing phone for your Polycom device. After getting a phone number, get the SIP Information. The SIP Information will be configured inside your phone, to register it with the Office@Hand VoIP service. For steps on how to get the SIP information, go to Manual Provisioning – How do I set up my Desk Phone to work with AT&T Office@Hand. 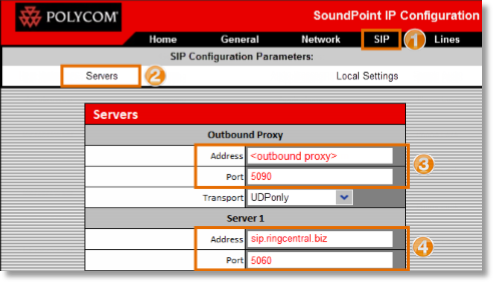 Once you have the phone number and the SIP Information, get you phone’s IP Address. 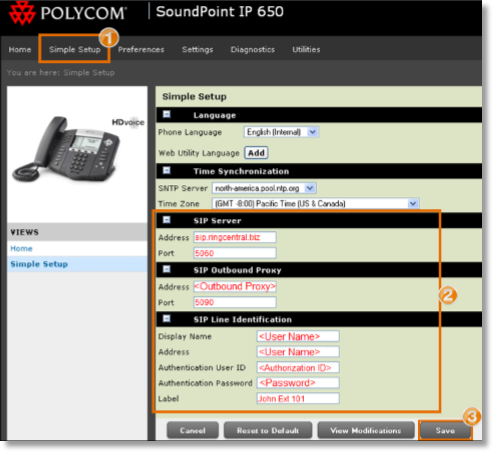 Your Polycom phone may have the old or new interface. 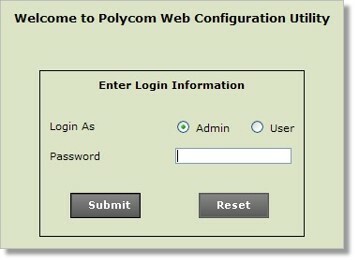 Older Polycom phone models have the old user interface with a red header. New Polycom phone models have a black header. Click on the link below to proceed. Launch a web browser and enter the IP address of your phone in the address Bar. Log in to the phone’s web user interface. Click on the SIP tab, and then go to Servers. Using the SIP Information, fill out the required fields. Scroll down, and then click Submit. Note: Your phone will restart after you slick Submit. After restart, log in to the phone’s User interface again. The phone’s IP address might change after restart. Click the Lines tab, and then go to Line 1. Using the SIP Information, fill out the required fields. Scroll down and look for Message Center. Under Message Center, enter the Subscriber and Callback Contact information. Note: Your phone will restart after you click Submit. Your device will restart several times and should have a dial tone when online. If you have further inquiries regarding setup or configuration, visit our Customer Support Center. IMPORTANT: DO NOT unplug your phone while provisioning as it may corrupt the phone’s firmware. Log in as Admin to the phone’s web user interface. Click on Simple Setup. Using the SIP Information, fill out the required fields. Note: Your phone will restart after you click Save. Your device will restart several times and should have a dial tone when online. If you have further inquiries regarding setup or configuration, visit our Customer Support Center.